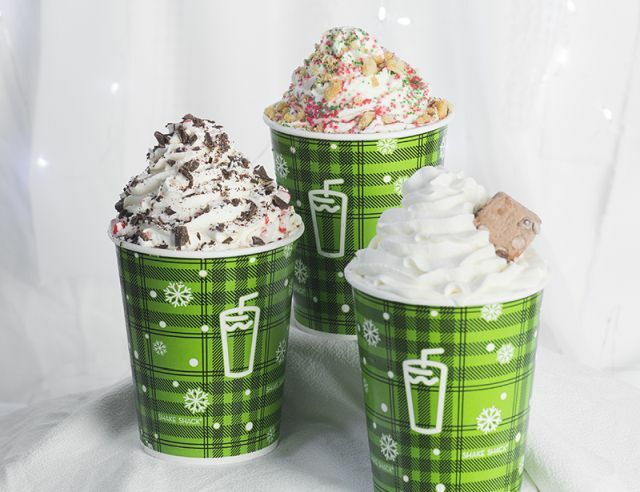 A trio of shakes have arrived for the 2017 holiday season at Shake Shack. 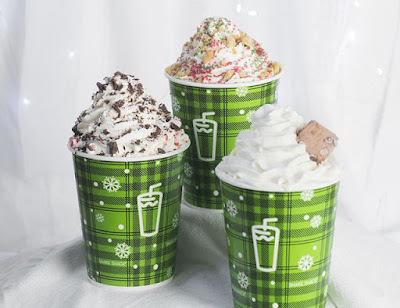 - Frozen Hot Cocoa - Hot chocolate frozen custard topped with whipped cream and a chocolate chip marshmallow. - Christmas Cookie - Sugar cookie frozen custard topped with whipped cream, crumbled shortbread, and red and green sprinkles. - Chocolate Peppermint - Chocolate frozen custard blended with peppermint and topped with whipped cream and chocolate peppermint candy crumbles.